There’s nothing more exciting than discovering a new beauty brand to fall in love with, the products, the finishes and of course the endless makeup look opportunities. So, as you can imagine our beauty-loving hearts were spilling with excitement when Laura Geller hit the Escentual beauty desk. Laura Geller is the namesake makeup line of a New York City makeup artist, it’s the makeup industries best-kept secret and I’m here to let you in on it. 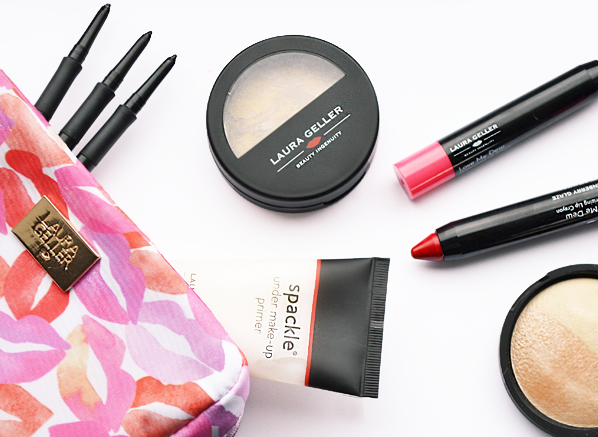 Famous for her time saving, multi-use products, Laura Geller makeup is a girl-on-the go’s best friend. Also well-known for her collection of Baked cosmetics and beginnings on QVC, there’s a reason that Laura Geller products have been cult favourites of women for over a dozen years. An iconic collection, the Laura Geller Spackle Primers are mainly water and film forming agent based, which contrasts to many primers on the market which contain mostly silicones. Silcones will leave the skin feeling silky smooth because they temporarily fill fine lines and pores, but the downside is this filling action can often clog the pores and lead to breakouts. 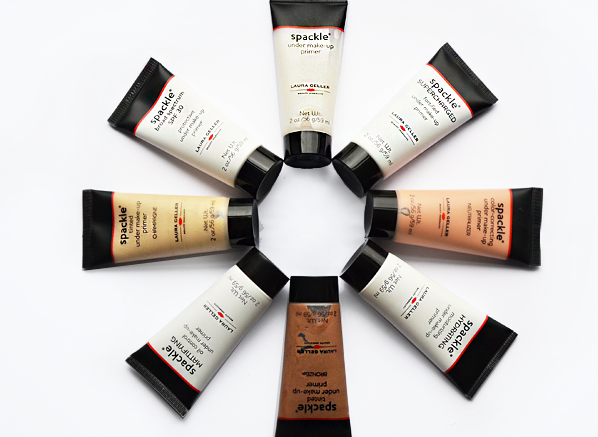 The Spackle Primer collection has something for everyone, a primer for every desired finish. The collection comprises of 8 primers, the Original, Mattifying, Hydrating, SPF 30, Champagne (a radiance enhancing primer), Supercharged (anti-ageing benefits), Neutralizer (colour-correcting) and the Bronze Tinted primer. The Spackle Primers are the ideal undercoat to achieve perfect skin texture and they contain shiny pigments to a lend a subtle glow to the skin. 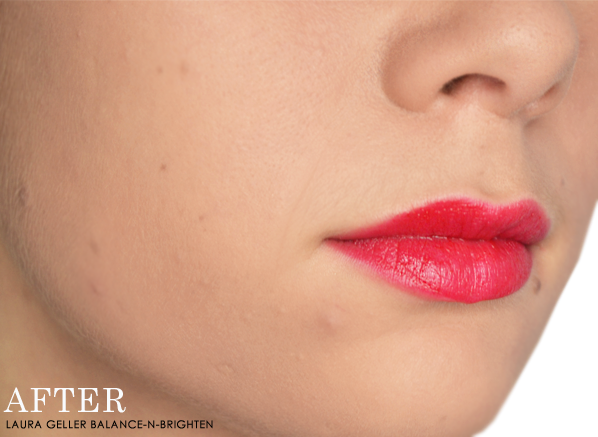 The Laura Geller Baked Balance-n-Brighten foundation is one of the brand’s most popular products. The oil-free powder foundation has a marbleized blend of soft tan and cream that work to offset redness and even out the complexion. Infused with age-fighting, antioxidant protection of Centella Asiatica and White Tea the foundation can be used alone or over the top of your regular foundation to achieve a flawless finish. The powder has a smooth texture that applies sheer and can be layered for additional coverage. The Balance-n-Brighten is the ideal on-the-go makeup product, allowing you to touch up and achieve a healthy, radiant glow wherever you are. As Laura Geller is known for her easy-to-use products, the Love Me Dew Moisturising Lip Crayons couldn’t be missed in this line-up. 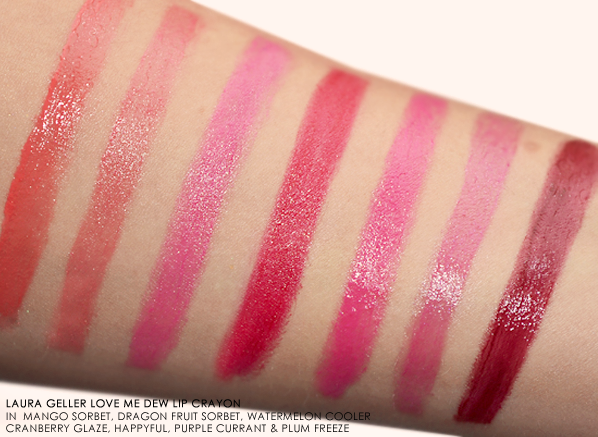 Infused with Vitamin E the chubby sticks will coat your lips in glossy, pigmented colour. 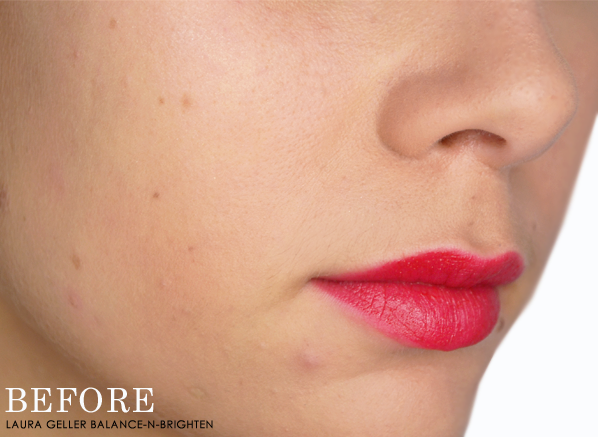 But that’s not it, the Lip Crayons are also extremely nourishing with their balm-like texture. Available in seven shades, the Lip Crayons never need sharpening, making on-the-go touch-ups easy and convenient. 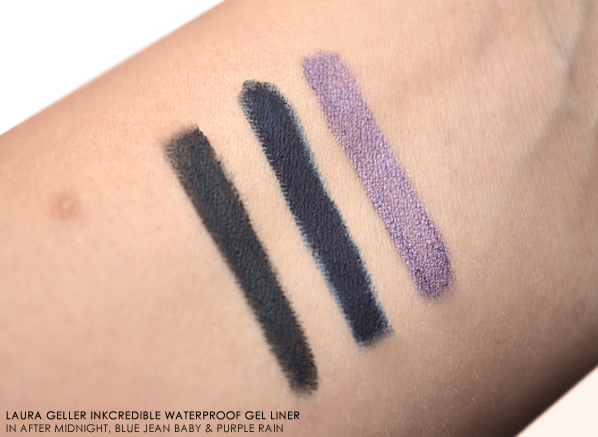 If you’re tired of eyeliner that doesn’t last then you’ll be happy to meet the Laura Geller Inkcredible Waterproof Gel Eyeliners. The waterproof formulas will be your new best friend, staying by your side from day-to-night and through rain or shine. The highly pigmented, creamy formulas glide over the skin and add dramatic intensity to any makeup look. Available in Purple Rain an iridescent purple, Blue Jean Baby a midnight blue with shimmer and After Midnight a black with pearl shimmer, the creamy eye-liners can be worn in the waterline, on the lid to create a cat flick or smudged out to create a hazy wash of colour. 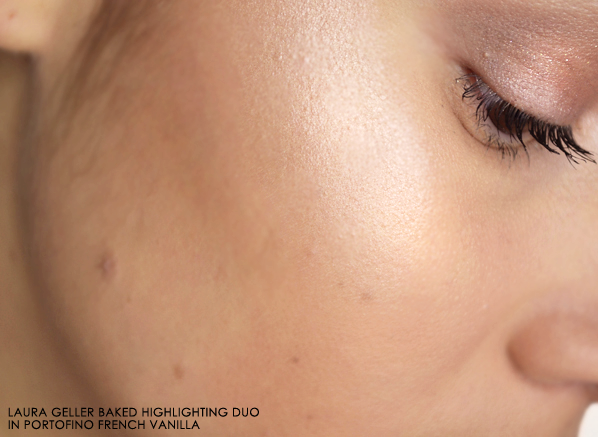 As strobing and highlighting are currently taking the beauty world by storm the Laura Geller Baked Split Highlighter Duo couldn’t be overlooked. A brand bestseller, the highlighter takes glowy goodness to the next level and imparts an illuminating highlight to your skin. Part of the popular Baked Collection, the Highlighter Duo comprises of French Vanilla, a classic, sheer beige and Portofino, a sparkling peach, which can be used together or separately on the high points of the face to brighten the skin and a radiant glow. This entry was posted on Monday, July 27th, 2015 at 1:08 pm and is filed under Brand Focus, Make-up, New products, Spotlight On, Swatches, Uncategorized. You can follow any responses to this entry through the RSS 2.0 feed. You can skip to the end and leave a response. Pinging is currently not allowed. Hello, do you sell the Geller make up bag as well? That looks so cute.